Home, water and community are the highlights of this extraordinary property. 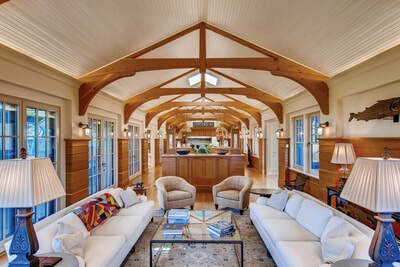 Award winning architect Bernard Wharton & Allan Shope designed a breathtaking 4 bedroom 4 bath home. 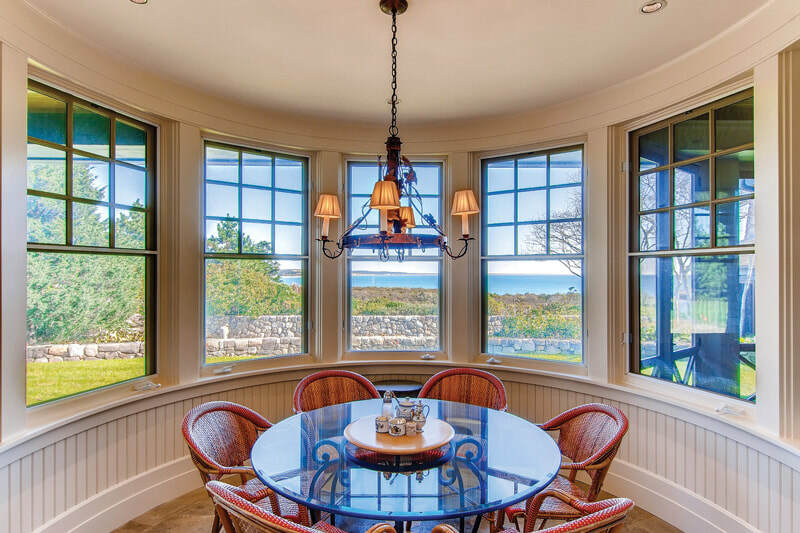 Each room enjoys marvelous ocean and meadow views and is complimented by exquisite floor to ceiling design details which make it the most interesting home on the Vineyard. The multi-year collaboration of architect, interior designer, builder and owners created a home beyond stunning -- this collective genius created a home which is exciting, charming and livable. Like a great artistic masterpiece, it gets better over time. The owners have felt this way every day for 20 years. 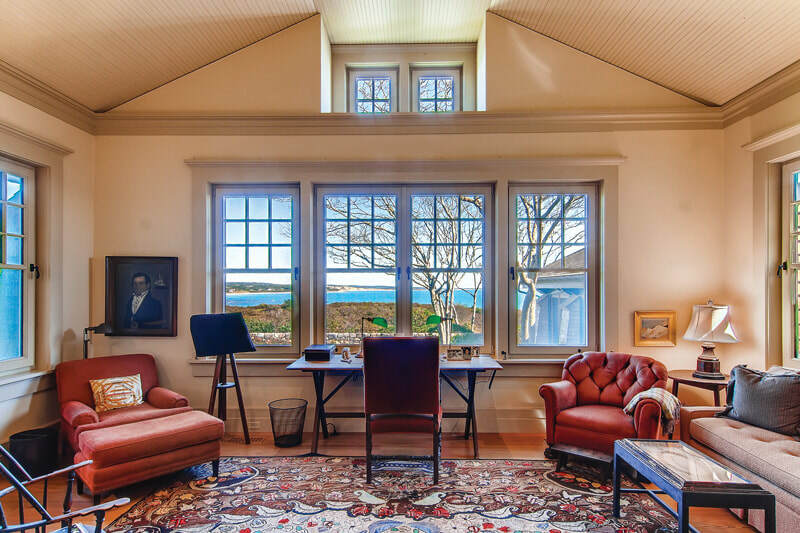 ​ This exquisite home on 6 private acres embraces the natural wonder of the endless Chilmark, West Tisbury and Edgartown shoreline with Edgartown in clear view 14 miles away. The home and coastline splendor is further enhanced by the private 450+ acre Squibnocket community with 1.5 miles of pond front, 2 miles of ocean front, 300+ acres of conservation and shared with only 12 other homes. 123 of these conservation acres abuts this property on one side and 17 conservation acres abuts on another side. This paradise is considered the finest waterfront community on the east coast. For a video tour visit www.tealaneassociates.com “featured sales”. This property is offered exclusively at $12,650,000.